How Do I Find the Right Therapist for me? One of the key things to look out for when selecting your therapeutic match is to ensure that whomever you’re working with is registered with a regulatory board in their field. This will automatically let you know that they have the appropriate qualifications to practise in the field. By pertaining to a regulatory body, they are required to adhere to and uphold the ethical standards that the board keeps in place, and they must continue to maintain up-to-date knowledge of the type of therapy they are providing. It is important to note that there are different professional bodies depending on what type of therapy that individual is qualified to practise in and there are a number of different approaches that may suit your therapeutic needs. What therapy are they trained to provide? Here at the Blue Tree Clinic we understand that the process of starting therapy can be daunting enough without having to syphon through endless literature on all the different types of therapy that exist. That’s why when you first join us, you will be provided with a consultation from one of our psychiatrists and they will endeavour to get to know you and explain some of the different approaches we offer so that you can make a collaborative decision about which person or people from our team might be able to help provide you with the type of support that would be suited to you. We have a highly reputable team that offer a wide range of treatments, from Cognitive Behavioural Therapy to Psychotherapy to Hypnotherapy and many more. Do you think you could grow comfortable with them? In conjunction with all the aforementioned points, it is as, that you get on well with your therapist. Therapy can be a daunting process and not feeling entirely supported and comfortable with your therapist can make the experience even more overwhelming. We know that trusting people with potentially quite intimate details of your life can be a bit unnerving. So, we’ve built a team of highly-qualified and, more importantly, approachable professionals who have the skillsets to tailor a treatment plan to suit your individual requirements. It is also important that they can provide a private and calming environment that is conducive to the therapeutic process. Needless to say, it may take some time to build up a therapeutic relationship, so do give it a few sessions, but make sure that their style and manner works for you. If not, you are well within your rights to ask to try another therapist or even another style of therapy. Be honest with yourself; these sessions are designed to support you and ensure you get exactly what you need, so if something doesn’t seem to fit right, then voicing it can help us address some of your uncertainties and maximise your satisfaction. What commitment do they require from me? You don’t need us to tell you that society is becoming increasingly more fast-paced and demanding of our time and resources. Booking weekly appointments does take a commitment to the therapy in itself. However, Blue Tree offers a number of options to ensure that this can fit tidily into your schedule in order that it remains a priority for you. For instance, our London base at Wimpole Street is fairly central and is only a short distance from multiple transport links. However, if making the journey would prove problematic, we offer both telephone and Skype appointments in order to ease the burden on your schedule. Don’t hesitate to ask for these options, if it would make it easier for you to commit. We strive to provide a service that is accessible to all and will be as flexible as possible to make sure that you can get the most out of your time with us. For this reason, we also offer various concessions like Student Discount and are also registered with most major health insurance companies, so your treatment may even be covered. Experience can be high on the list of criteria for some clients. 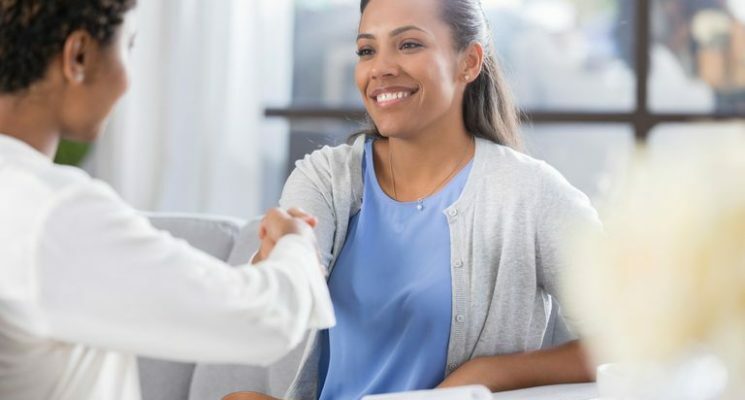 Newer therapists may not have necessarily had as much contact with a wide range of conditions or client work, but it may be that their particular style may suit you better. It is also worth mentioning that anyone we bring in to our team will have had a number of years training in the field and will need to have had previous experience in health care. We do however offer trainees the opportunity to work with us, but under these circumstances, clients will be notified to ensure that they are happy to be seen by a trainee and sessions will be offered at a discounted rate. While experience is important and can make some people feel more comfortable, what counts is whether or not you can get on with your therapist and whether you trust that they may be able to offer you the support that you require. Here at the Blue Tree Clinic, we endeavour to help you make the task of finding the right therapist for you as easy as possible and support you as best we can to ensure that you receive the very best care. All of our therapists are vetted and registered with their respective professional bodies after completing the required qualifications in their fields. When our specialists are selected to join the Blue Tree team, we also ensure they complete mandatory additional training, have up-to-date insurance and a clean professional record in order to maintain the highest quality of care to all of our clients. All members of our team are required to receive supervision to enhance their development and in turn, the level of care that they can provide to their clients. Supervision is a time to discuss potentially challenging cases and remain mindful of their role in the client’s life, all the while respecting the ethical and professional boundaries. Nonetheless, we appreciate that some people may feel uneasy about details from their sessions being shared, so do mention this if it is of particular concern to you. Your therapist will explain how confidentiality is maintained in the first session and remind you of this throughout your treatment. This is common and good practise, especially if a challenging situation arises and they may need extra support from the team to determine the best way to support the individual through this. For further information you can read more about what to expect when you first join us, visit our website or contact us now for free with any questions you may have. How psychiatrists and psychologists work together?